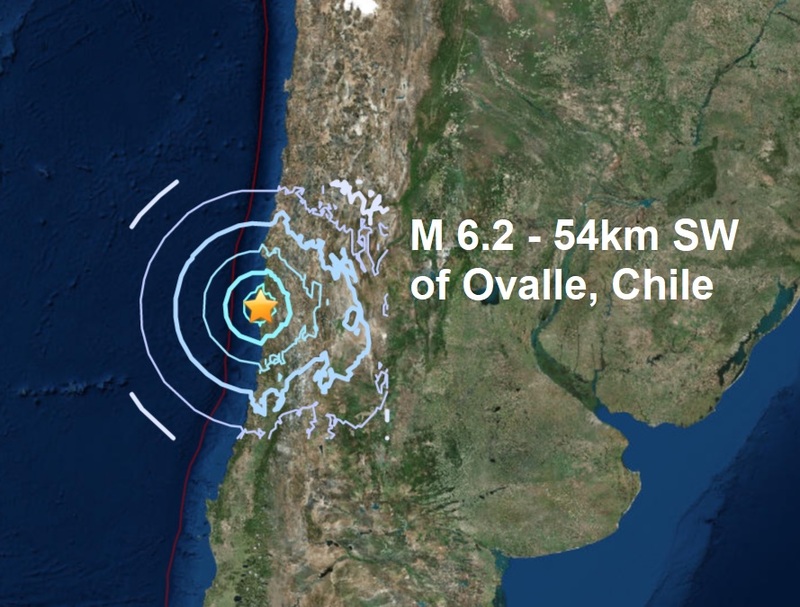 A powerful mag 6.2 - 54km SW of Ovalle, Chile has been reported by USGS this morning. The quake is the 4th major quake of April and brings the total for the year to 35. Of the 35 major quakes reported this year, 34 of them have occurred during coronal activity on the sun and today's is no exception. According to Spaceweather.com, arriving some hours earlier than expected, a stream of fast-moving solar wind has reached Earth. The gaseous material is flowing from a wide hole in the sun's atmosphere and could engulf our planet for several days. NOAA forecasters estimate a 55% chance of G1-class geomagnetic storms on April 10th and 11th as Earth moves deeper into the stream. The false-colour image, above, from NASA's Solar Dynamics Observatory, shows where the solar wind is coming from. 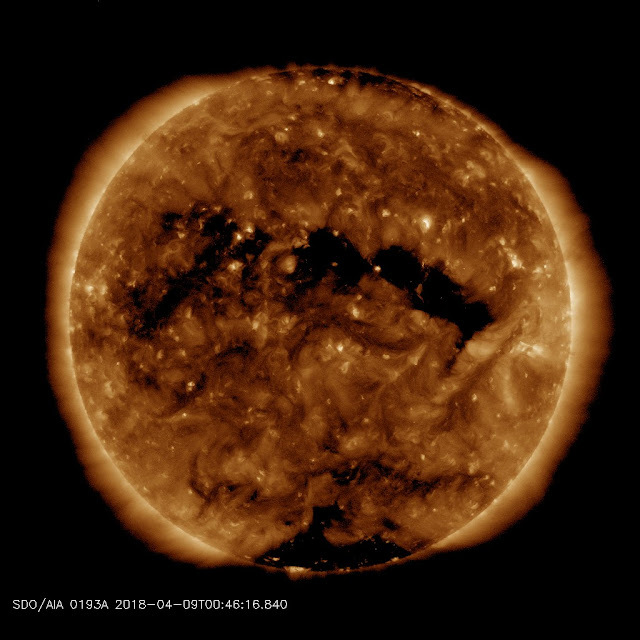 Researchers call this a "coronal hole." It is a wide region where the sun's magnetic field has opened up, allowing solar wind to escape. Why are coronal holes dark? Because the hot glowing gas that normally fills the void is gone ... to Earth.